« Herman Cain On Abortion: Say What? This entry was posted on Friday, October 21st, 2011 at 21:45 and is filed under Book Review, Politics. I met Mr. Aquila at the Conservatives4Palin meet-up the evening before the Restoring America Tea Party Rally in September in Iowa. Frank Aquila is the former chairman of Senator John McCain’s 2008 Presidential campaign committee for San Joaquin County in Northern California. 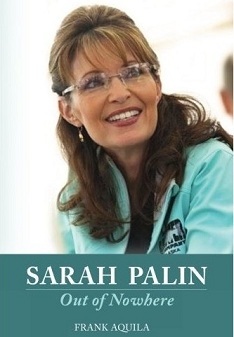 His book details his role in lobbying for Sarah Palin’s acceptance on the Republican ticket in the Vice Presidential slot. The book also covers a good deal more, in that he lays out the way in which the media was guilty of a form of malpractice not only in their spiteful coverage of Sarah Palin, but also in their absolute failure to vet Barack Obama. More, he highlights the ways in which the McCain campaign itself undercut the Vice Presidential candidate. He goes to significant lengths to explain the philosophical underpinnings of the socialist left, and he finishes the book with his own prescription for the country. It’s a story told from the perspective of a grass-roots activist who has seen the way party politics operates, and it’s well worth the read.